Plan guides are some strange things, and can be very high risk. This post does not have the intention to get all you fine people to implement plan guides everywhere, it should be one of the last resort options in your toolkit. You will not directly see the query’s being adapted by it, meaning that troubleshooting this will be way harder. The first part will create some data and some tests before going deeper into it. Oh-oh, we got parameter sniffing. OPTION(RECOMPILE) solves all your issues, and the pro’s of adding this outweigh the con’s. But you can’t alter the application code no matter what, and all the other options where explored. Remember that you need to create it In the database where the query is executed. The plan guide will have to be created in the Master database, unfortunately. TEMPLATE exists if you for example don’t want to apply FORCED PARAMETERIZATION on all the queries when enabling this at the database level OR VICE VERSA. You will have to use sp_get_query_template to find the parameterized forms of the query. @module_or_batch: Can be NULL, or the Object name or the batch text. If it is NULL then and the Type = SQL, the value will be set to the same value in @stmt. @hints= the hints you want to add to the query. -- IT IS NOT WORKING??? – Nested loop join on the entire plan. @stmt = N'SELECT * FROM [MY_TEST].[DBO]. [TABLE1] T1 INNER JOIN [MY_TEST].[DBO]. 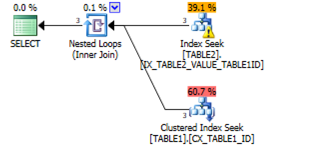 [TABLE2] T2 ON T1.ID = T2.TABLE1ID WHERE T2.VALUE IN (@P1,@P2,@P3) OPTION(LOOP JOIN)', -- Hele bovenstaande query. Bye bye nested loop forcing. OBJECTS WITH ENCRYPTION can’t have plan guides added . When you create the plan guide, the plan for the matching query or procedure will be flushed from cache. Thanks for reading, and stay tuned for part 2, where I will talk about OBJECT and TEMPLATE TYPES.